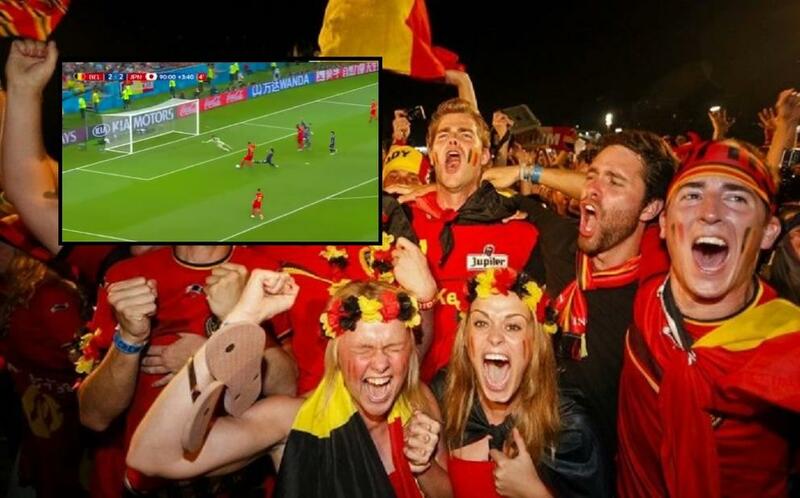 Belgium, after having the greatest ever trouble beating Japan, qualified for the quarter finals of the World Cup after Brazil had done the same earlier in the day. Both teams will now meet on Friday evening for a thrilling quarter final. With the Belgians heavy favorites it was surprising to see the Japanese dominate at the start, but as the game past the first quarter the technical skills of Eden Hazard and Kevin De Bruyne took over the middle-field and the mostly Premier League stars of Belgium started to create more and more chances. Unfortunately for their supporters they missed their shots and finished the first half as it started. 0-0. Japanese player Takashi Inui meanwhile was quickly proving to be a dangerous wingman and many European teams will be demanding his skills for next season as he is certain to bring a lot of interest from Japan with him. His employer Real Betis can be expecting the bids to roll in shortly after this performance against one of the European top national teams. Straight after the interval, just as Belgium was trying to figure out how it would get in front, Japan broke out of their defensive stance and struck twice. First via Genki Haraguchi and then via the best man on the pitch, Takashi Inui who struck the ball beautifully past Belgian goalkeeper Thibaut Courtois. Ten minutes after the break, it was 0-2 and the football experts looked on in astonishment. The Japanese back home looking at the match in the middle of the night wouldn’t be getting a lot of sleep. The Belgians pushed and their captain Jan Vertonghen was able to score some ten minutes later. 1-2. Belgian coach Roberto Martinez then brought on breaking iron Fellaini who put in a header only 5 minutes after that and all was ready to start again. 2-2. Just as the game looked to be heading into overtime, Belgium broke out quickly in the 94th minute, just as the referee was about to whistle for the end and scored via Nacer Chadli: 3-2 and immediately afterwards the Senegalese arbiter signaled the end of the match. Brazil qualified earlier today after a simple 2-0 victory over Mexico which never looked in doubt. Brazil, now the favorite for the final victory together with France after Spain’s exit yesterday, controlled the game early on but had to wait till the second half before first Neymar and afterwards Roberto Firmino put the Brazilians past Mexico. The loss means that, just as every World Cup since 1994, Mexico go out at the last 16. Hat off to Japan, fought till the end. Great game of football to watch.